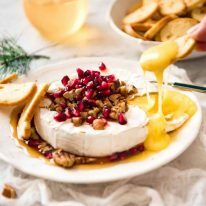 It’s festive, a total crowd pleaser, you can use a good value brie, and it takes just 3 minutes to make. This is basically a baked brie appetizer except it’s microwaved and you can’t tell the difference at all. You don’t need a recipe video to learn how to make this – but you should watch it anyway, just to catch the first and last 5 seconds…. I’m officially in holiday mode! I never know exactly when it will hit me, but it always eventually does. When I stop setting my alarm and yet I still wake up at 6 am every morning (?). When I hit the beach with Dozer every single morning to meet up with his “family”, a congregation of anywhere between 5 – 20+ golden retrievers in the area. When I notice that everyone is in a good mood. More people smile at you on the street, and even though the shops are so crowded, no one is huffing and sighing loudly in the check out queues no matter how long they are. (OK I lie, some people still do and said person may be one of those people that sometimes does, because even though I’m in holiday mode, I do still have a tendency to put myself on a schedule of some sorts, albeit more of a social rather than work schedule). So because I’m in holiday mode, today I’m sharing something that is ridiculously fast and easy. Truth be told, I did make and take lots of photos of a few other things – nuts, mulled wine – but I just wasn’t 1000% happy with the recipes. I can do better. So next year. I’ll share them next year. 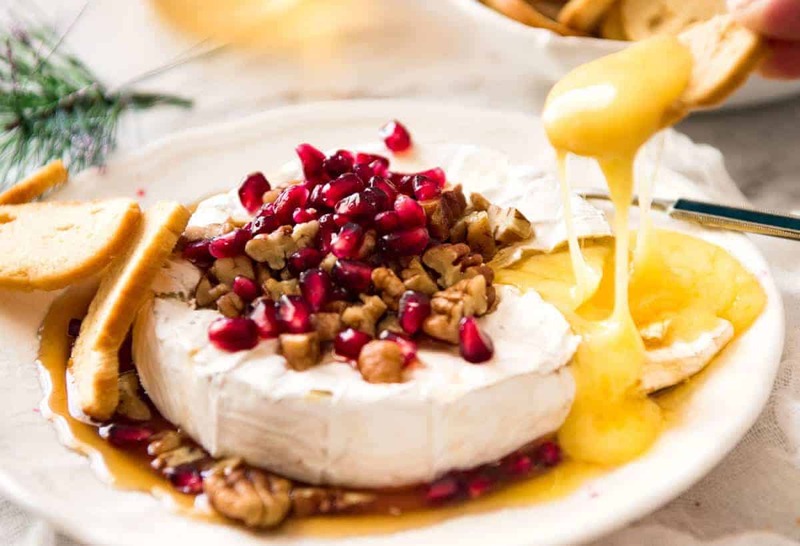 For this year, you’ll just have to make do with this – my 3 Minute Melty Festive Brie. 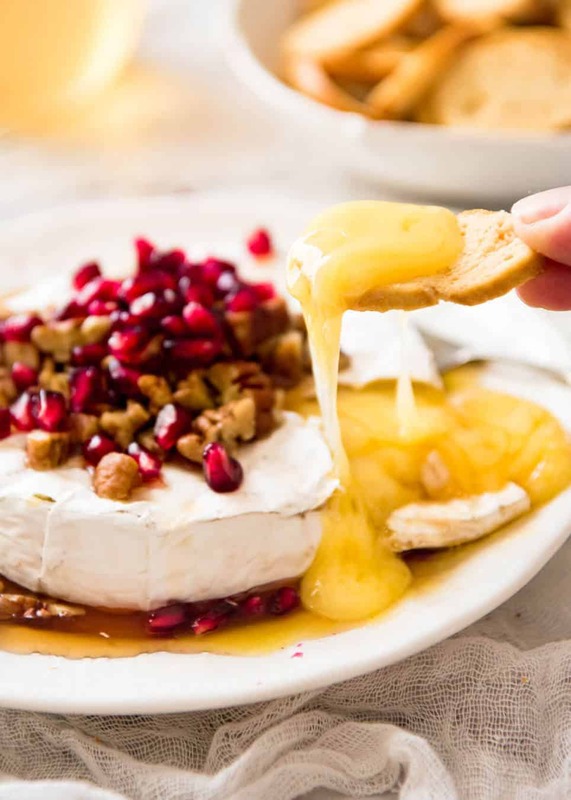 Aka a super speedy Baked Brie appetizer. You don’t really need a recipe for this. All I do is pop a brie or camembert in the microwave for 1 minute 15 seconds on high, or until it’s melted. It’s really easy to tell – just prod it in the centre and it will feel really soft and….er….well, it will feel melted. ? Then top it with roughly chopped pecans, pomegranate seeds and pour over maple syrup. And that’s it! Hmm. Maybe it’s not even 3 minutes. It might be 2 minutes 30 seconds. I didn’t factor in the time it takes to unwrap the brie / open the packet of pecans (get ’em crushed if you seriously want to save time) / wack the pomegranate seeds out / pull the bottle of maple syrup out of the cupboard. But you get the idea. The actual construction time of the brie is definitely less than 3 minutes. ? Oh! 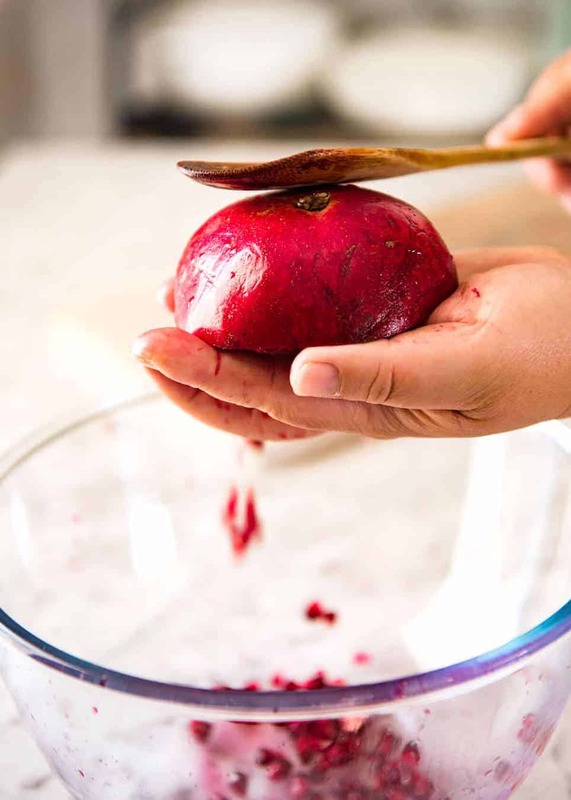 Quick tip: This is how to get pomegranate seeds out – just cut in half, then over a bowl, wack the pomegranates with a wooden spoon and the seeds will come flying out into the bowl. Every time I do this, I get a ridiculous childish sense of satisfaction / want to giggle. ? I topped this brie with pecans, pomegranate seeds and maple syrup. 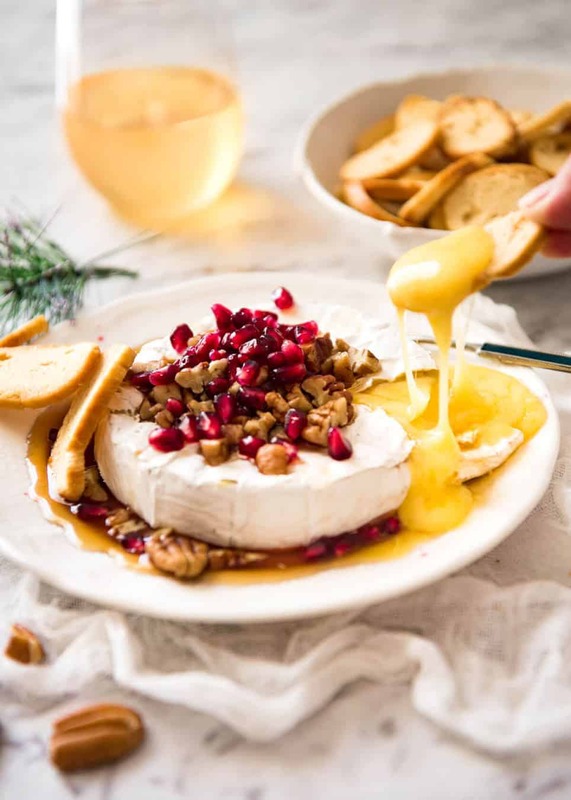 I really do think that is a stellar combination – the creamy savoury brie, the juicy fresh pops of pomegranate, the warm nuttiness of pecans and woody sweetness of maple syrup – but you can totally tailor it to your own taste or whatever you have. My formula is to use something nutty for texture, something syrupy for sweetness and some kind of fruit for freshness / juiciness. PS I have no idea what to call this. It really is essentially a baked brie appetizer except it’s not baked. But really, I bet no one would ever know whether this was baked or microwaved. This is one of my greatest secret weapons for gatherings. It looks fantastic, you don't need to use an expensive brie for this, it's adaptable to your taste, it takes minutes to make, and it's an absolute and total crowd pleaser! The flavour combination is a killer: creamy brie with the warm nuttiness of pecans, sweetness from maple syrup and juicy pops of pomegranate. Normally brie served like this is baked, but you can't tell the difference between baking and microwaving! Unwrap brie and place on a small microwave-proof plate with a rim (so maple syrup doesn't go everywhere). Microwave on high for 1 minute 15 seconds, or until the brie is very soft when you prod the centre. Watch the brie as you microwave it - if it starts to puff up too much (i.e. risk of bursting), turn microwave off and leave brie inside - residual heat will continue to melt it. Top with pecans, pomegranate seeds and maple syrup. Serve immediately with crackers of choice (choose ones suitable for scooping). I serve this with a spoon and/or small pate knife. 1. I prefer brie over camembert for this because it has a higher fat content (~60% vs ~45%) so it's softer to scoop up. But it does work with camembert as well. I use a standard 250g/8oz size round brie that I get from the supermarket - nothing fancy. Save the expensive brie for eating as is! 2. Pecans come in packets already roasted, but if you happen to have raw ones, roast them in the oven for 5 minutes. - Pecans: Use whatever nuts you want. - Pomegranate seeds: Use anything with a bit of sweet juiciness, like blueberries, red currents or even small grapes, chopped. I opt out of using dried fruit because they are very sweet / a bit too chewy (e.g. cranberries). - Maple syrup: Honey, golden syrup, blueberry or other sweet sauce. 4. Crackers to serve (I used bagel chips, good size / shape for scooping). 5. 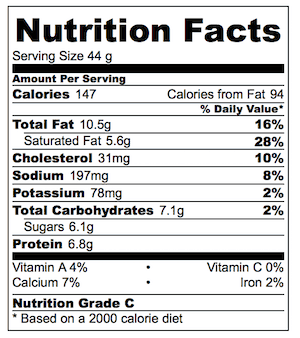 Nutrition per serving assuming 8 servings. You really don’t need a recipe video for this 3 Minute Melty Festive Brie but I couldn’t resist making one just so you can see that melty cheese in all its glory. Yep, that’s my dog. 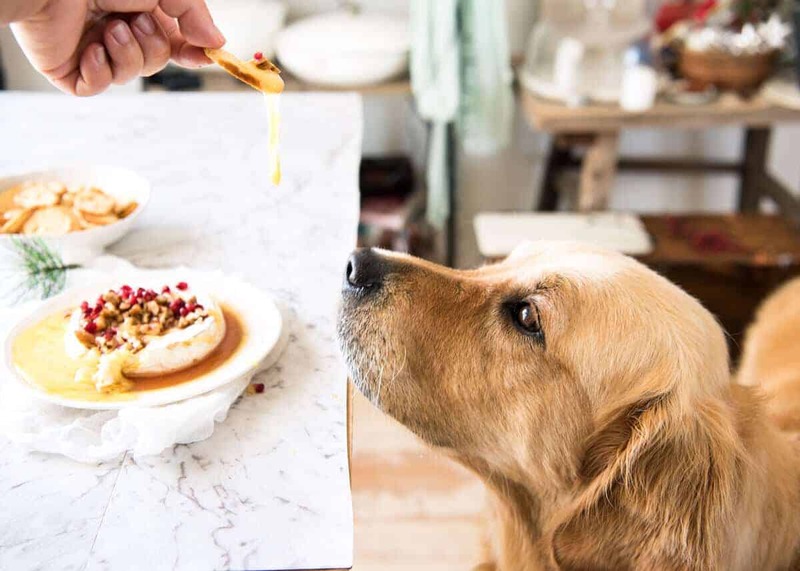 Look at the way he’s eyeing off that melty cheese…. Atta boy! I just served this at my office morning tea and it was a hit! Dangerously easy to scoop up with crackers and the maple syrup gave it a nice sweetness. Shared recipe with a few colleagues already! Nagi, is it a big deal if I bake the festive brie instead? And then add the pomegranate seeds toasted pecans and maple syrup?? Nagi, thanks for a great recipe! I did end up using the microwave, and it was perfect!! Yum! I loooove baked Brie. I still use my old favourite which is just Brie with some slivered almonds on top, baked and then served with crusty bread. Sometimes I put some pepper (jalapeño) jelly on top. This sounds good too. 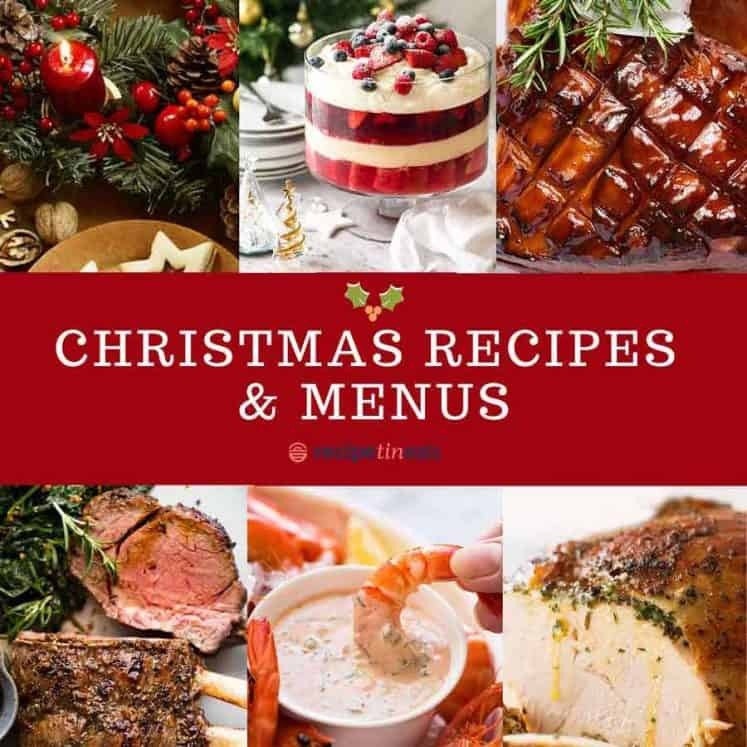 PS I love the new format of your recipes/website. Happy New Year! You are so right, no-one would know it wasn’t baked. This was very good and simple, thanks again for all your great recipes. Had no ides that are different to the old regular starters. Made this fantastic Baked Brie, and had compliments coming from around the table!!! Thank you, for all the yummies!!!! YAY! 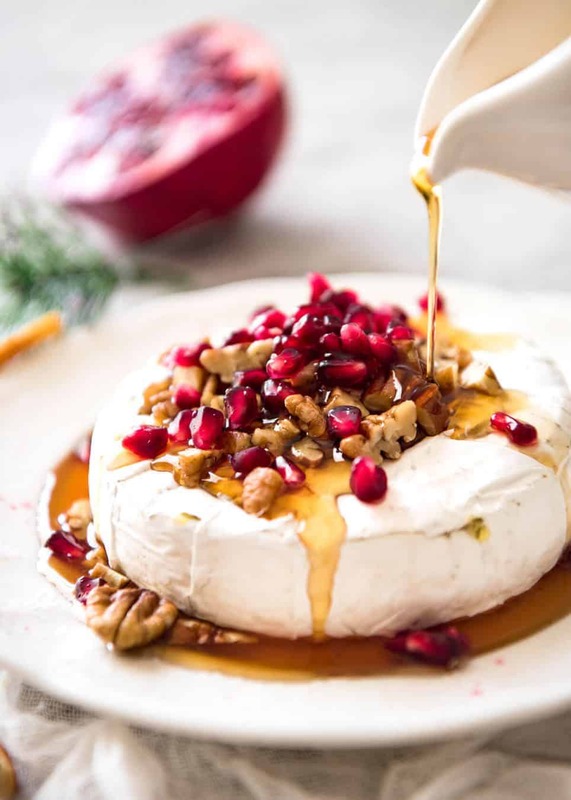 I am so excited to make the Festive Brie to take to the ‘family’ get together! 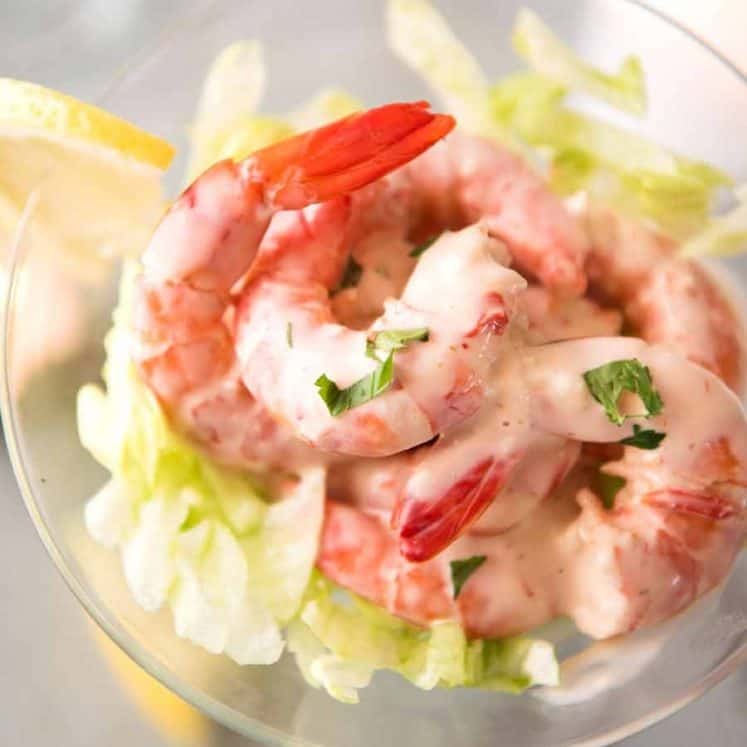 Fast, beautiful and delicious….PERFECT for us! 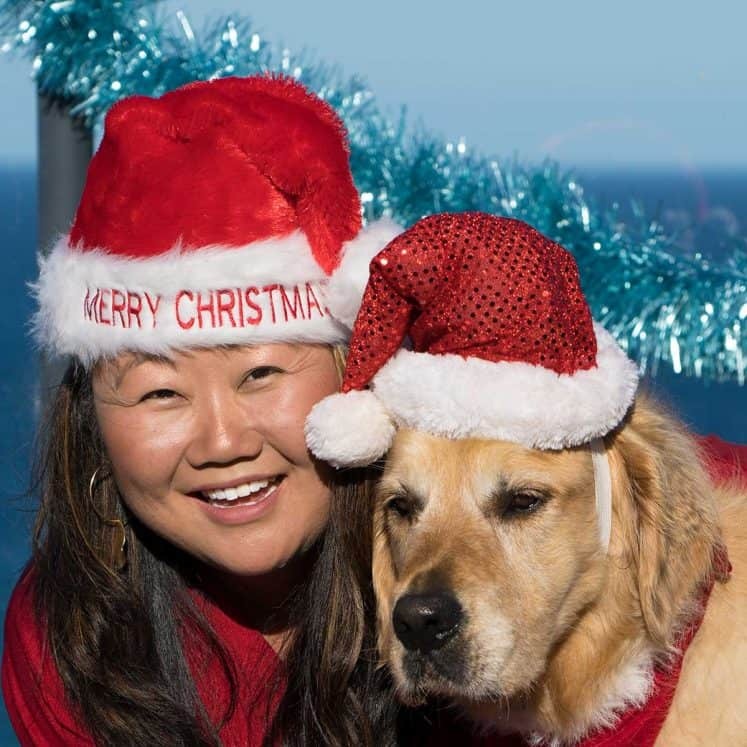 Happy Holidays to you and DOZER!! I love the change. Its easier and faster to pin. Well done and Merry Christmas to you. Call it Breezy Brie !! as its such a breeze to make…. I did this with roasted cherries and walnuts with sprigs of rosemary..
Hey Nagi, I make this all the time for work morning teas; however I cheat and make it even easier by skipping the maple and pomegranate and using cranberry or redcurrant jelly instead. Everyone looooves it! Thanks for this delicious recipe Nagi. Love it!! Wow I can’t believe how good this looks. Truly amazing !!!! I recently made this…..and the flavors are awesome! The best part is that it is soooo easy!! Thanks so much for sharing! PS. Dozer is such a good boy… so well trained and showing so much restraint on that photo, that cheese is dripping right in front of his nose and he did not even bat an eyelid! Aww! Thanks Ada! The flavour combo does work well, does’t it? Sweet and savoury heaven! !